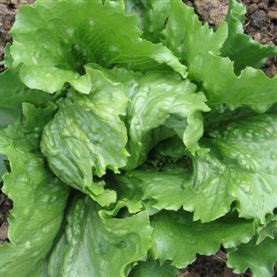 A reliable, medium sized iceberg for early and maincrop production. Vigorous root system gives a boost in difficult growing conditions. Good bolting resistance. Resistant to Bremia BL 17,19.